Samsung Plans to Replace Android With Tizen That Looks Like the "Work of an Undergraduate"
Earlier today, Google disclosed details of the Chrysaor spyware that has been developed and used by sophisticated hackers, mainly sponsored by nation states. However, Samsung appears to have been doing these groups some favor by creating messy software. Motherboard reports that a security researcher has discovered over 40 security vulnerabilities in Samsung’s Tizen operating system. WikiLeaks recently published a number of leaked and stolen documents codenamed Vault 7, first of which focused on how the CIA was using Samsung smart TVs to spy on its targets. The documents revealed that the agency needed physical access to a TV to install this malware – at least if it was using the leaked exploits. It appears the problems run deeper in the OS, as millions of devices could be vulnerable to hackers remotely taking control of them. Security researcher Amihai Neiderman of Equus Software told Motherboard that there are 40 unreported security vulnerabilities that would allow remote execution and hacking of every Samsung TV, watch or phone that is based on Tizen. While Tizen may not be running on any popular Android phone or tablet, over 30 million Samsung TVs and other products run the software, with the company planning to introduce it to over 10 million phones this year. Samsung may want to get rid of Google (which now focuses first on its Pixel lineup), but Tizen is nowhere close to prime time, as the researcher said the OS is like seeing the work of an undergraduate. The researcher noted that all of the vulnerabilities he has discovered would allow a hacker to take remote control of a Samsung device. However, the “Holy Grail” for hackers is the Tizen app store. Using the TizenStore app, Neiderman was able to deliver malicious code to his Samsung smart TV. Since the TizenStore app delivers apps and updates to Tizen devices and has a high level of security clearance (aka privileges), hackers would be in for nothing but joy to find it easy to hijack. Earlier last month, another security researcher had reported that the company was leaking customer data who were buying Samsung TVs using its online store. All the operating systems are open to bugs and vulnerabilities. However, unlike iOS or Android, Tizen isn’t a popular piece of code, which means not many researchers have extensively looked into it. 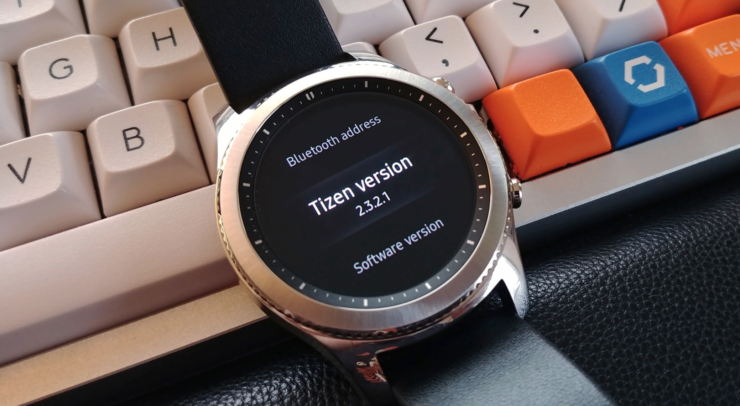 Neiderman said that much of Tizen’s code comes from old projects, including Samsung’s discontinued Bada operating system. “You can see that they took all this code and tried to push it into Tizen,” Neiderman said. He added that many of these vulnerabilities, however, were introduced with the new code that was specifically written for Tizen in the last two years. The latest revelation may, in fact, work in favor of Samsung, as the company might bring more security researchers on board to create a secure operating system. We have reached out to Samsung for a comment on Neiderman’s claims. Motherboard reported that Neiderman received an automated response when he contacted the Korean tech giant months ago. After the story was published, however, the company said it’s “fully committed to cooperating with Mr. Neiderman to mitigate any potential vulnerabilities”.